Even with all the amazing new Star Wars content that we've been getting recently, I would argue that the most realistic and immersive Star Wars experience is still Star Tours. 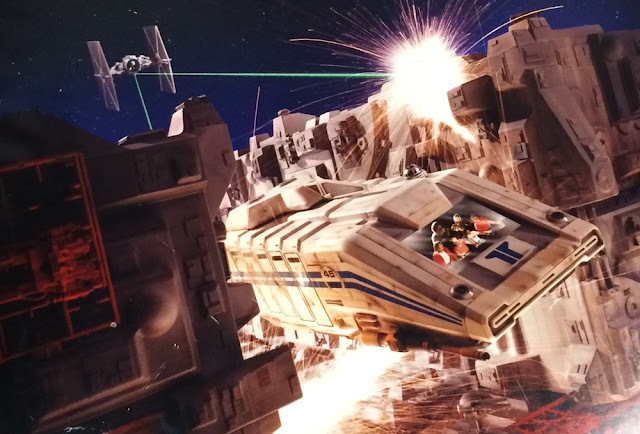 The 3D motion simulator ride, which is available to ride at several of Disney theme parks across the globe, has been shuttling millions of Star Wars fans to a Galaxy far, far away since opening in 1987. In 2010, the ride underwent a massive revamp which changed the experience drastically, allowing riders to visit a plethora of planets, including Tatooine, Naboo, Geonosis, Hoth, Jakku, and others, with appearances by several classic Star Wars characters. While the new improvements were greatly appreciated, it's hard not to miss the original version of the ride, which included a flight through a storm of comets, as well as making a run through the iconic Death Star trench, all while being clumsily guided by Droid pilot Captain RX-24, a.k.a "Rex"(voiced by Paul Reubens).